Specialty Products Inc. Launches New Website with User Directed Navigation – Specialty Products, Inc. 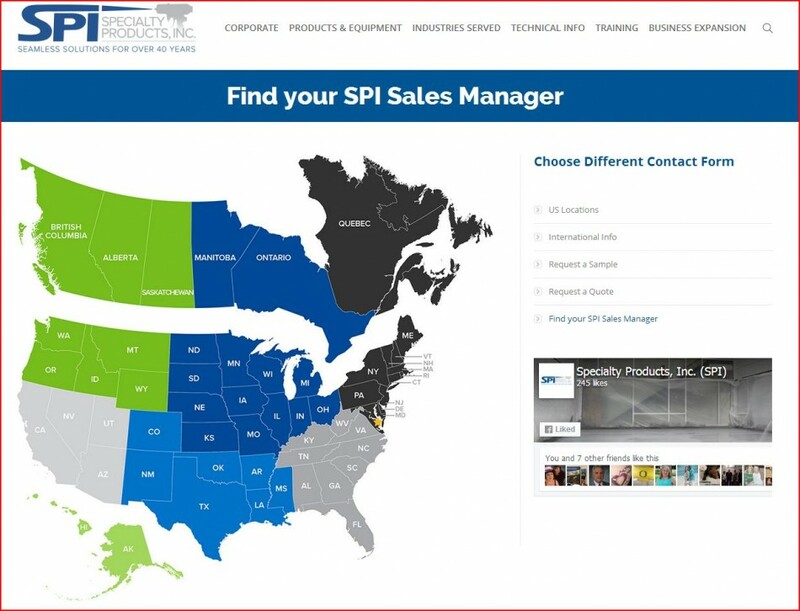 Specialty Products, Inc. – Lakewood, WA – Specialty Products, Inc. (SPI) is inviting visitors to explore its new website and blog debut. The upgraded website has been designed to provide the ultimate user-friendly experience with improved navigation and functionality throughout, allowing customers to access detailed product information and videos with the option to share information across all major social networking sites. The site touts the new SPI logo (which was announced at their 40th Anniversary) and corporate branding. The updated website includes an optional customized interface that the user may choose, based on interest, application, product, equipment, and/or market segment, in addition to the standard top menu offerings. The site boasts a full Resource Library with technical, profile, and SDS information on product families. A modest FAQ has been opened with plans for a more complete, interactive version soon. “The idea behind the navigational structure is that whatever the visitor is searching for is just one click away from the entry portal,” says Bonnie Alvarez, SPI’s Marketing Director. The Specialty Products, Inc. website offers a broad spectrum of product information, with an extensive video collection. PDF’s of many SDS sheets, Job Profiles, and downloadable reference sheets are available. 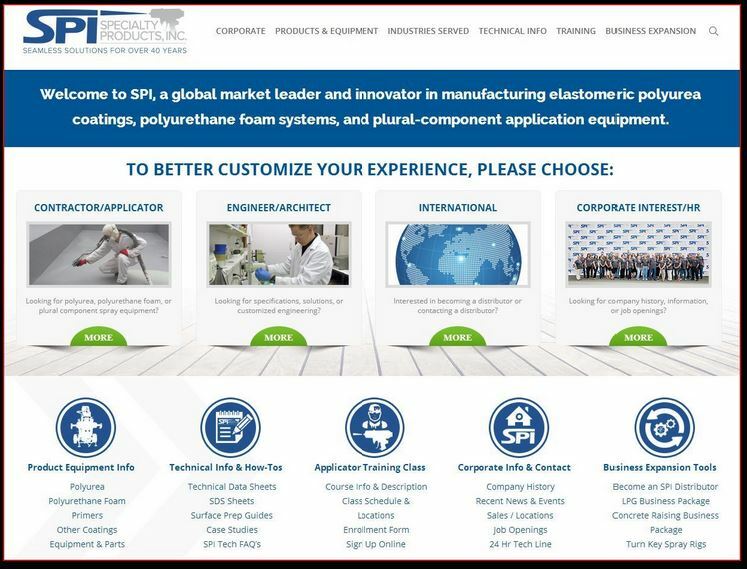 Visitors can also view and sign up for SPI’s world renowned Applicator Training Classes, find out where SPI will be exhibiting at trade shows, and lookup international product distributors. The latest news, product launches, field testing, and technical tips will appear on the company’s embedded blog page. We provide our clients with a one-stop shop solution through manufacturing our own products, spray equipment and accessories, safety equipment, and providing 24/7 technical support. Our unique testing environment allows our chemists to rapidly formulate and test product variations, and quickly bring them to market. This ensures you will have a product that is formulated with the performance characteristics to meet your individual project needs.